I've noticed an overwhelming amount of palm leaf printed items popping up. At first I wasn't too keen on them, but at it so often happens, I came across one item (in this case, the crop top of all things!) that was so visually appealing I became fixated on the print and decided to seek out some favorites to share. Love, love, love prints like these- so fresh and summery! I want those jammies so bad! They look so cozy and perfect for a week at the shore! Great roundup of palm prints. Love them all, super cute pieces at awesome price points. love these!! i need something in this print!! That romper is killing me...and rompers do not usually have that effect on me. Funnily enough, I have been wanting a tropical printed dress that I saw in one of my fashion mags recently. I love these prints, and it definitely makes me feel more summery. Is it just me or would that sleep set look adorable with heels? With patterns it's really about finding the right one. And then I become obsessed! There were the cutest pair of banana print shorts at JCP, unfortunately not in my size though! I've been all about the tropical print for summer! Obsessed with that romper! So cute! I am the same way. It takes me a bit to warm up to the new fashion prints at times. 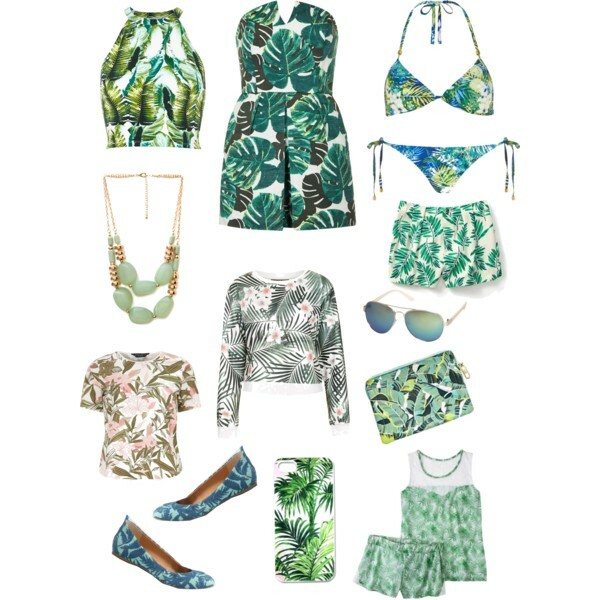 I love every one of the pics tho, officially loving tropical print ! I'm loving this pattern, too...Instantly feels so summery and laid back. Love the sleep set! So in love with Palm prints these days. You made a perfect round up! Done right, this print can be so great. I love all of your picks! Wow, love love love these prints! So fun for summer, especially crushing on those shorts! LOVE all of these! Especially the shorts. I am totally in love with this print too...I need to get something asap! Oh the dress and the shorts! Both are so beautiful! I think a small dose of that print can be cute. Great selection Lydia. Those Target pjs are so adorable. Love that crop, too bad I can pull it off this summer lol. Ooo, i'm all about that crop top! I love these palm leaf items! I'd gladly take one of each. I totally wasn't too sure about it, but think it's so fun for summer. Great finds! ...is it bad that I want to wear that sleep set as an out-of-the-house outfit? !